1) Horses need food. A lot of it. People also need food. Not as much, but still plenty. Historical armies solved this problem in three ways: they foraged from the countryside (good if you’re heading somewhere with crops and don’t plan on staying a while), they stocked supply dumps along their route (good if the route isn’t contested by the enemy), or they brought it with them. The latter is the most reliable, but also the hardest logistically because the supply trains have to carry enough feed not only for the actual fighting men and animals (cavalry horses, engineer horses, and oxen, etc), but also for the animals pulling the feed carts themselves, and their handlers. Pre-industrial armies went through a LOT of food. Many historic military decisions that seem illogical at first glance make perfect sense when one considers this logistical reality. The Athenians’ Syracuse Expedition, for example, was primarily an effort to secure a reliable source of grain that the Spartans couldn’t burn down every summer like they did the farms of Attica. 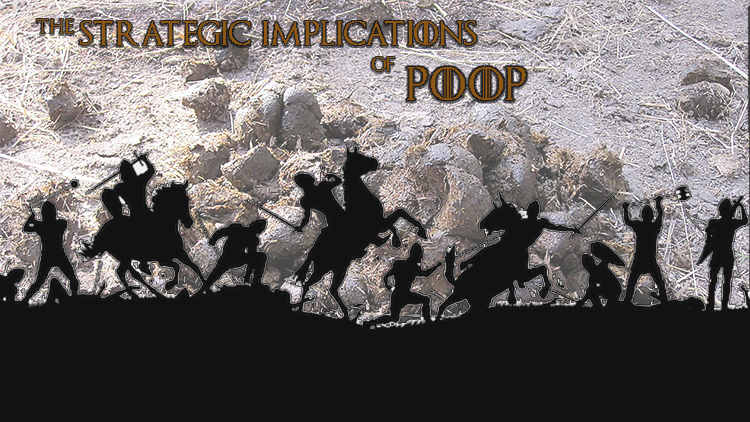 Horses and soldiers of all nationalities poop. Even Winged Hussars and their steeds. 2) Horses and oxen and mules (and men) poop. A lot. Any time an army stops somewhere for longer than a night or two, something has to be done about this poop. Otherwise everyone starts to get sick really quickly. Generally, it was shoveled into carts and pulled well away from camp and dumped. But that requires carts and animals to pull them. Which both adds poop and adds yet more food requirements. This problem is one of the major reasons Louis XIV gave up his plans to invade England because other logistical considerations (getting enough invasion barges, getting them into the harbor, and uncooperative winds in the Channel) meant his army was waiting too long and the poop was building up to unmanageable levels. He had to disband the army and never came back to his plans. England was literally spared invasion due to poop. Know who eats and poops? Archers. So do pikemen and Landsknechts and axe-wielding berserkers. A whole army of them = a lot of food and a lot of poop. 3) Water often carries a lot of germs, especially when thousands of men are camping together and sharing the same water sources [and of course, pooping in close proximity…ed]. The Romans discovered that adding wine to their water somehow prevented illness, but as soon as the wine stocks ran out they’d all get dysentery and other water-borne illnesses unless they switched to boiling the water. They may not have understood the germ theory of disease, but they could still identify cause and effect. De Saxe discussed this in his writings on military theory – disease was often a far more dangerous problem for a general than the enemy army, and one ignored it at great peril. 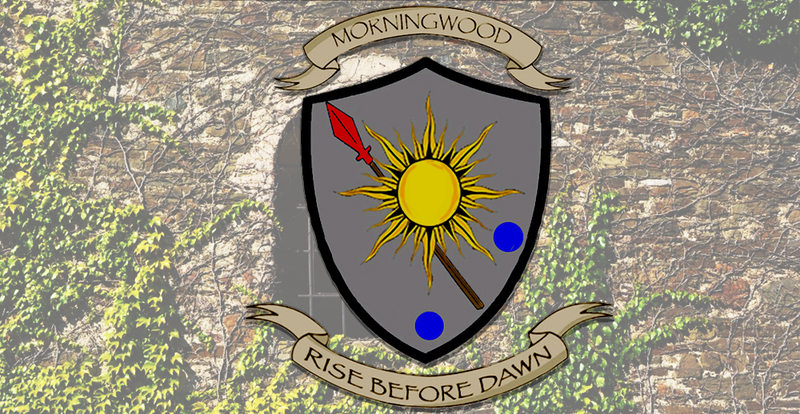 Earn the right to visit the Morningwood Bazaar! Support us on Patreon. 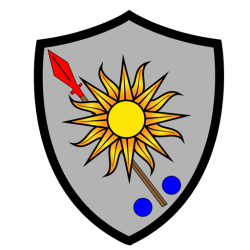 If you haven’t read it yet, House Morningwood suggests Supplying War: Logistics from Wallenstein to Patton. It’s a supremely different look at strategy from a completely logistical standpoint.